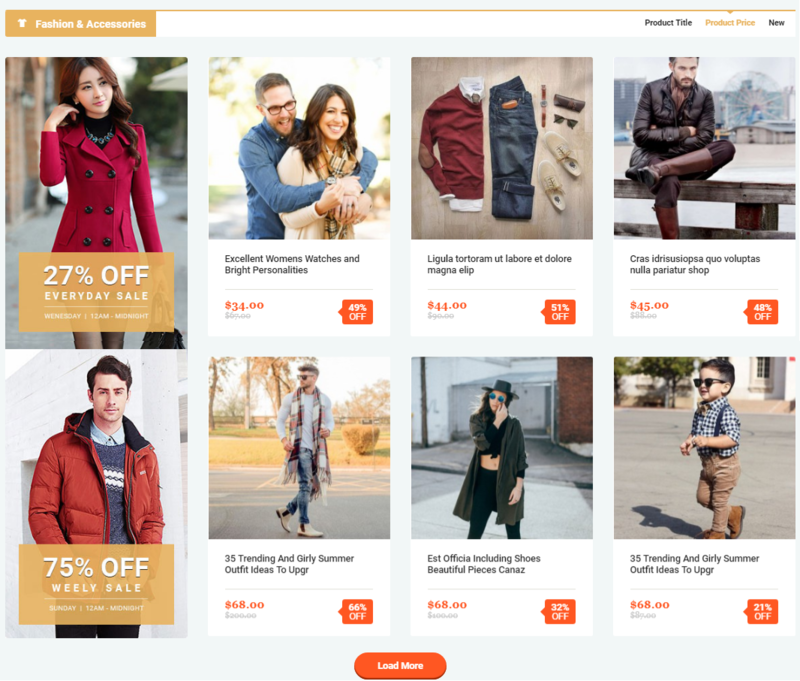 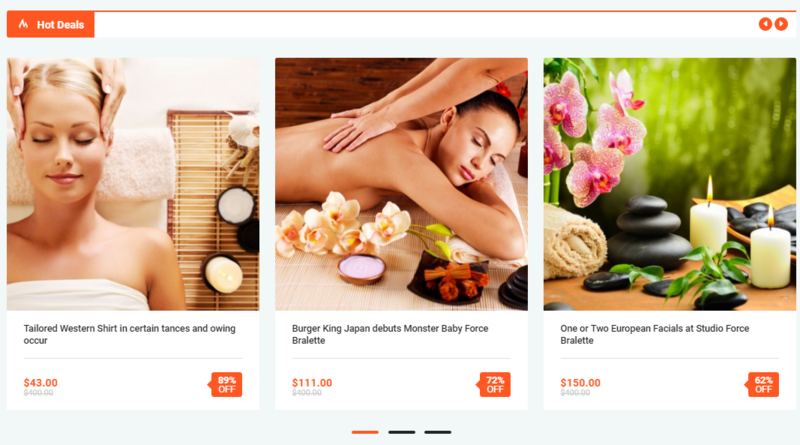 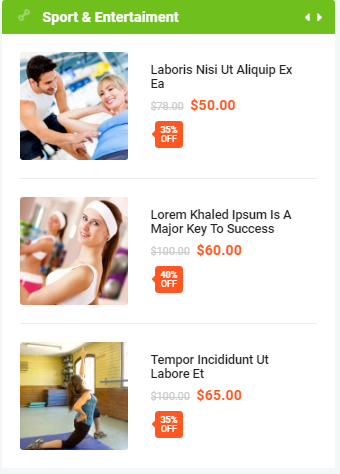 SJ TopDeal is a premium Joomla blog template that is tailored to present your content in an effective style. 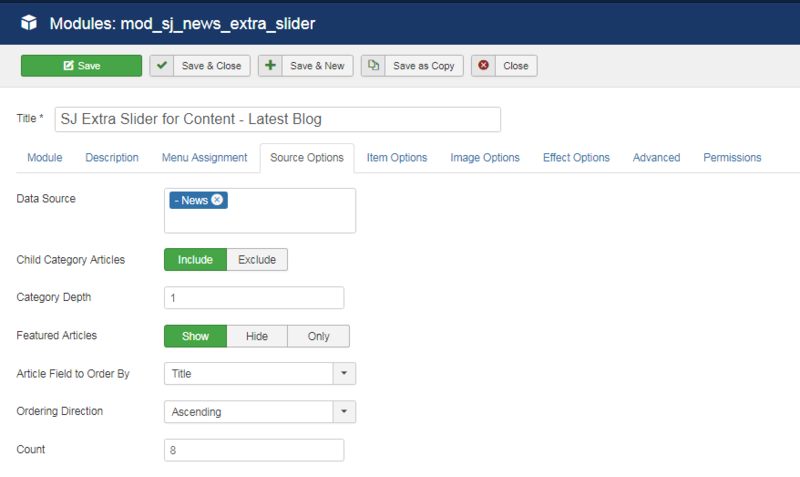 It comes packed with lots of features for news, magazine, editorial websites in mind. 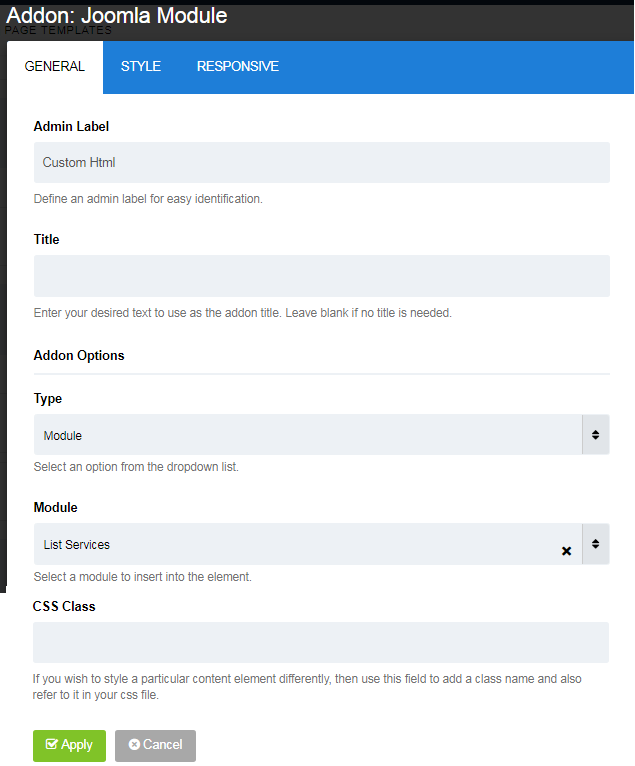 To install SP Page Builder Component you do the same as the installation Acymailing Component. 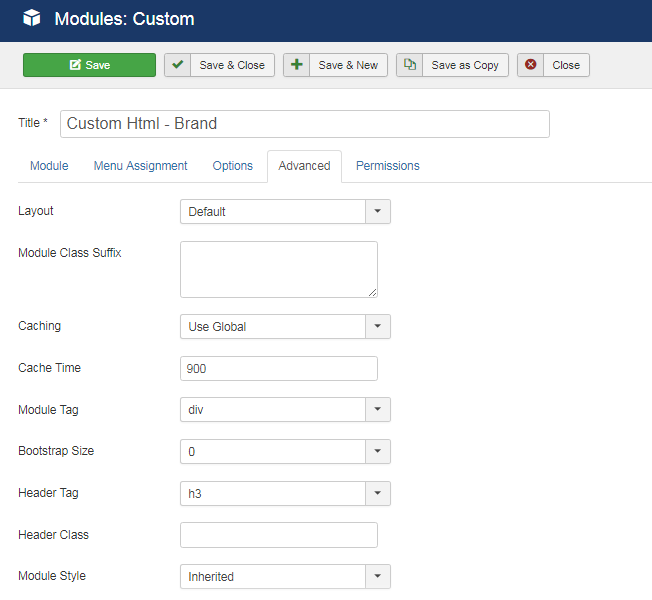 To configure this module,please go to Extensions >> Module Manager >> Click "New" button to create a new module >> Select "Custom" module. 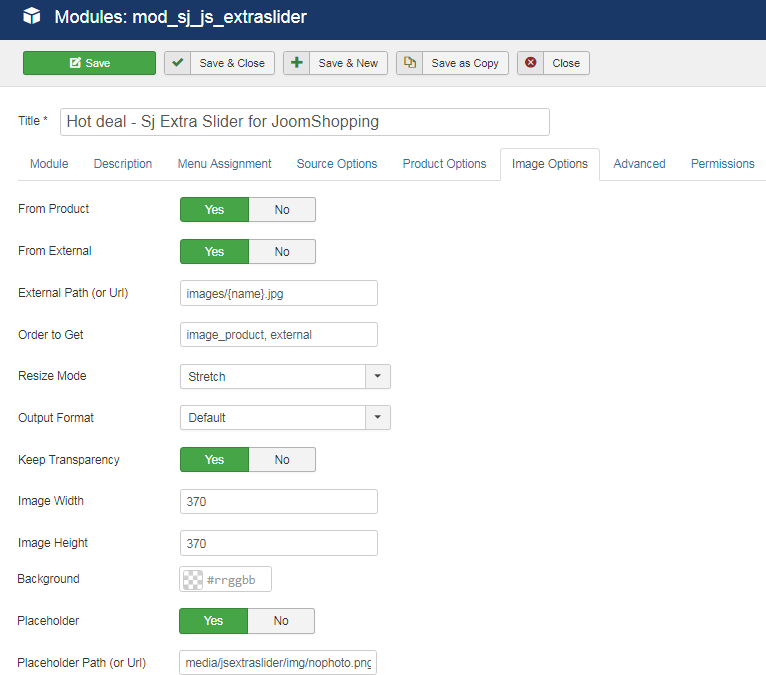 To configure this module,please go to Extensions >> Module Manager >> Click "New" button to create a new module >> Select "Jshopping Cart" module. 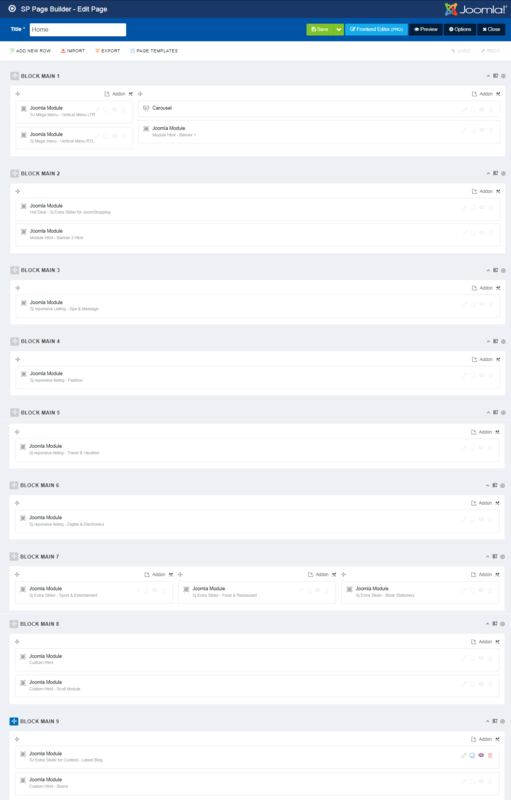 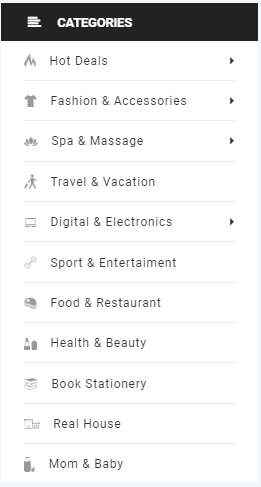 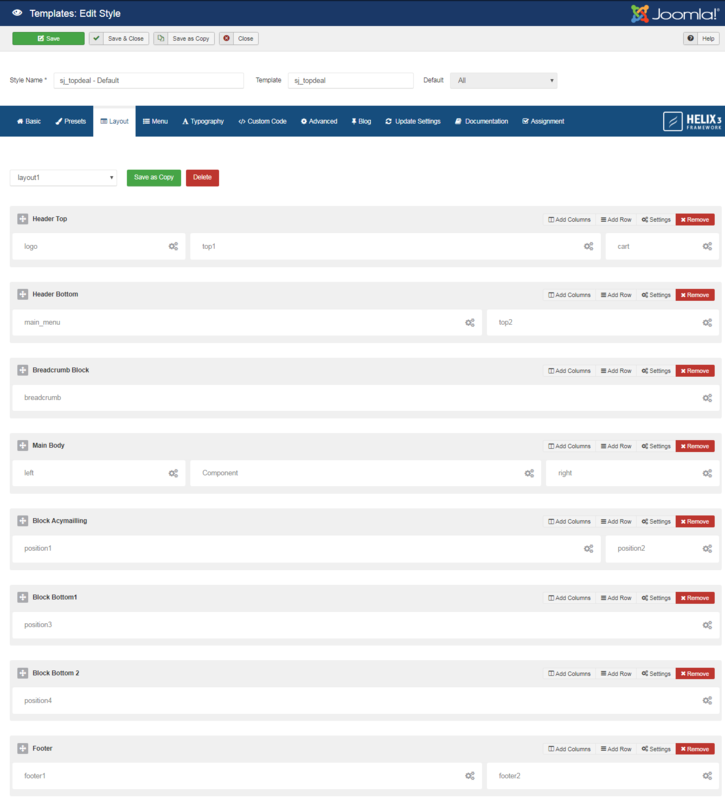 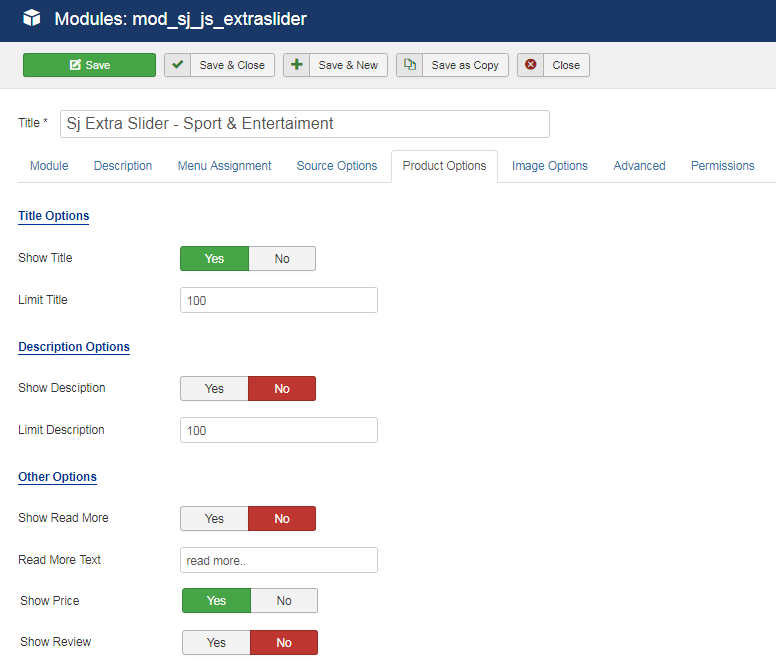 To configure this module,please go to Extensions >> Module Manager >> Click "New" button to create a new module >> Select "Jshopping Search" module. 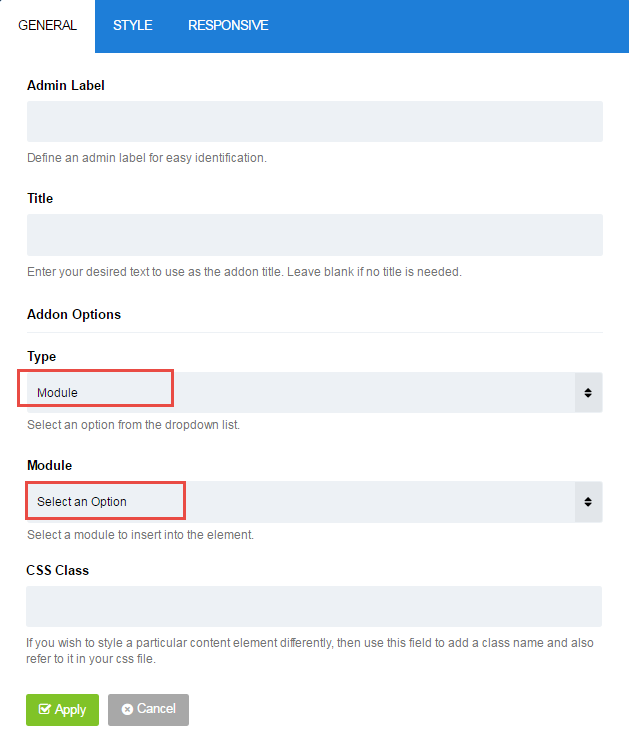 To configure this module,please go to Extensions >> Module Manager >>Click "New" button to create a new module >> Select "AcyMailing" module. 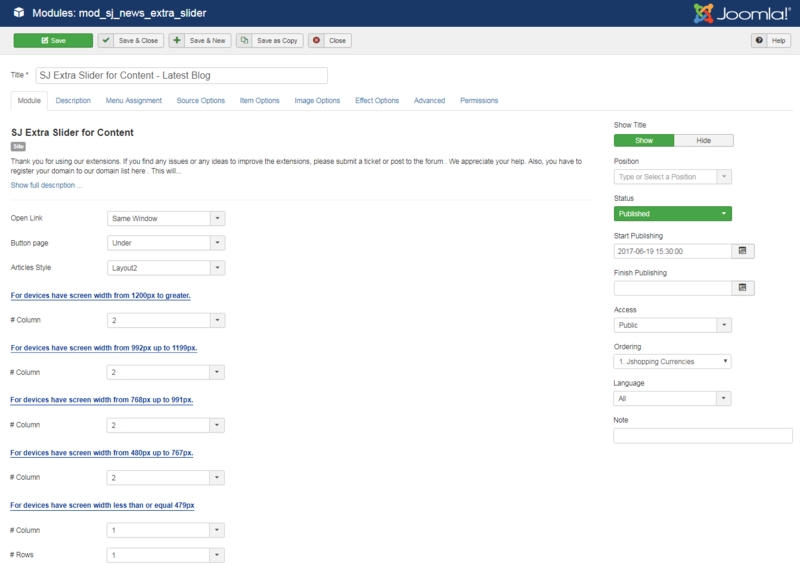 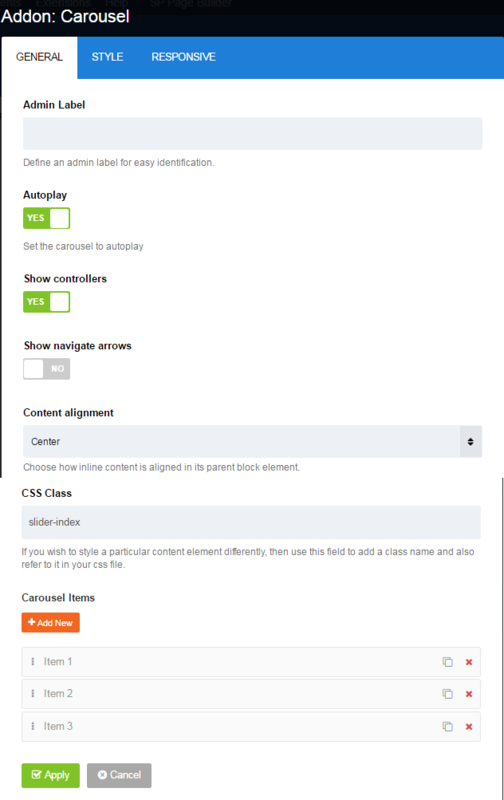 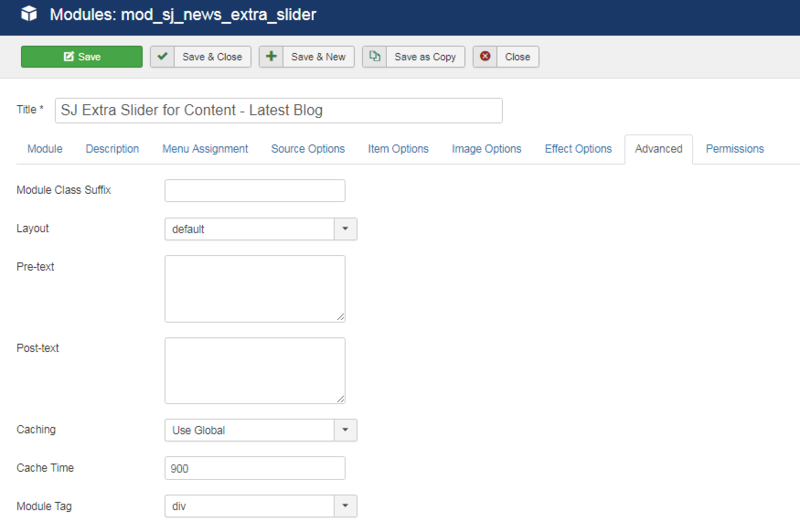 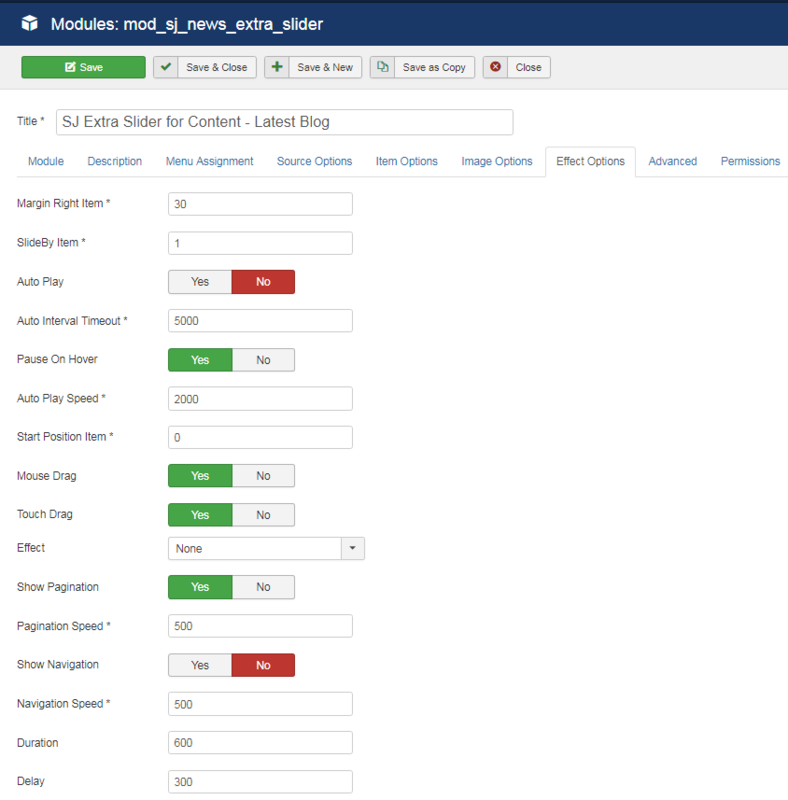 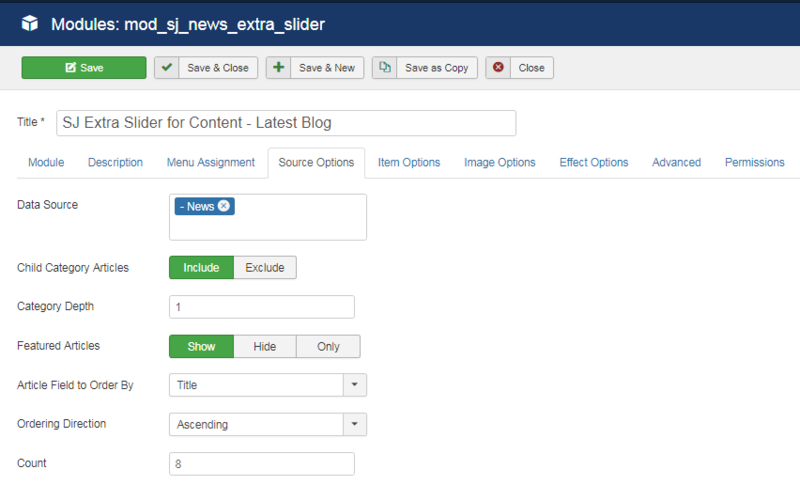 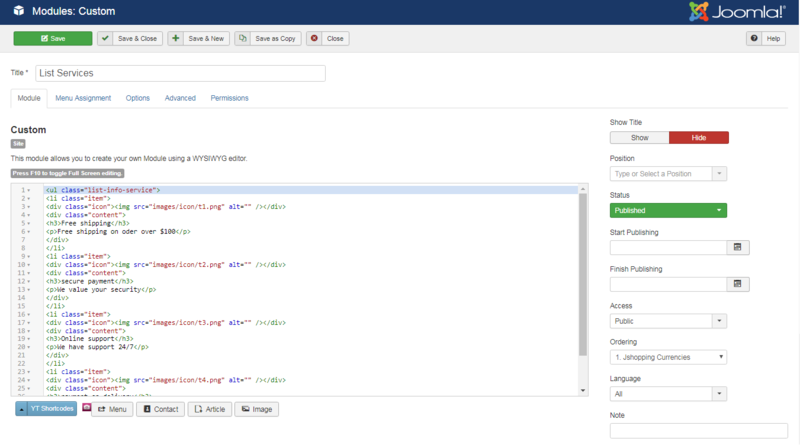 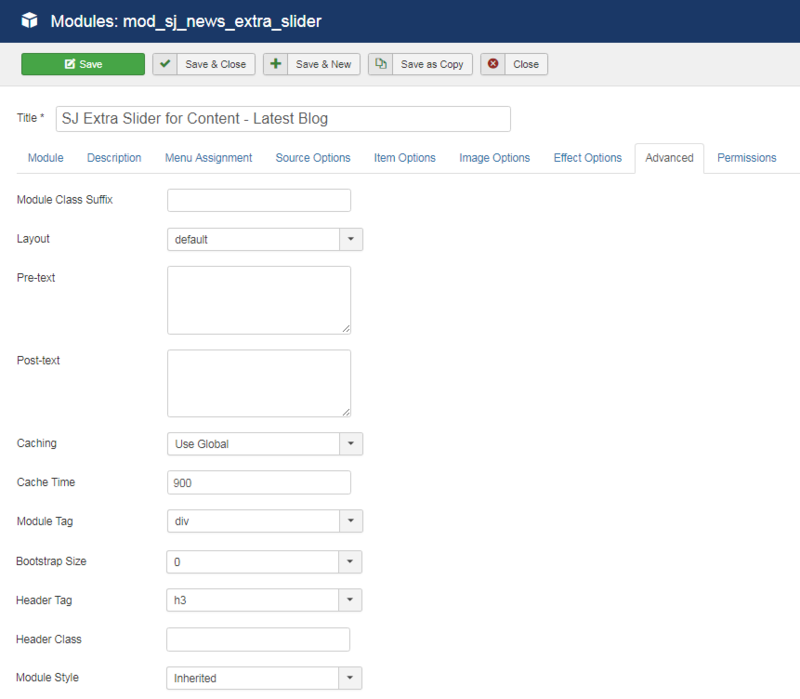 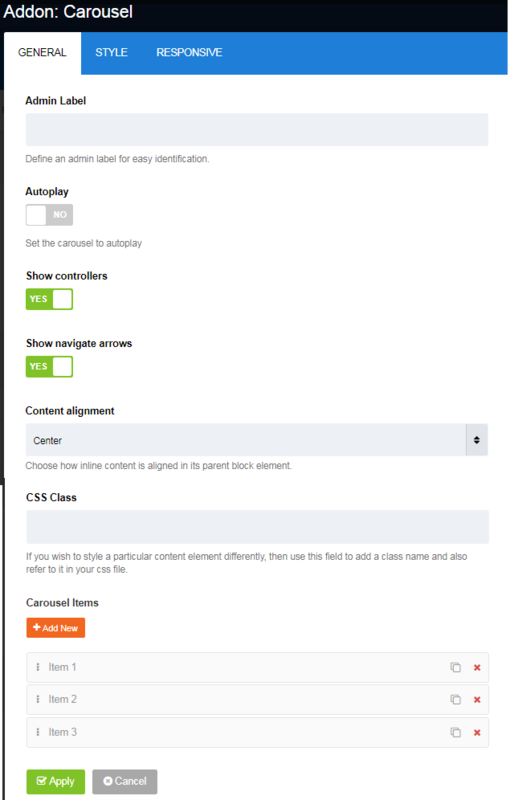 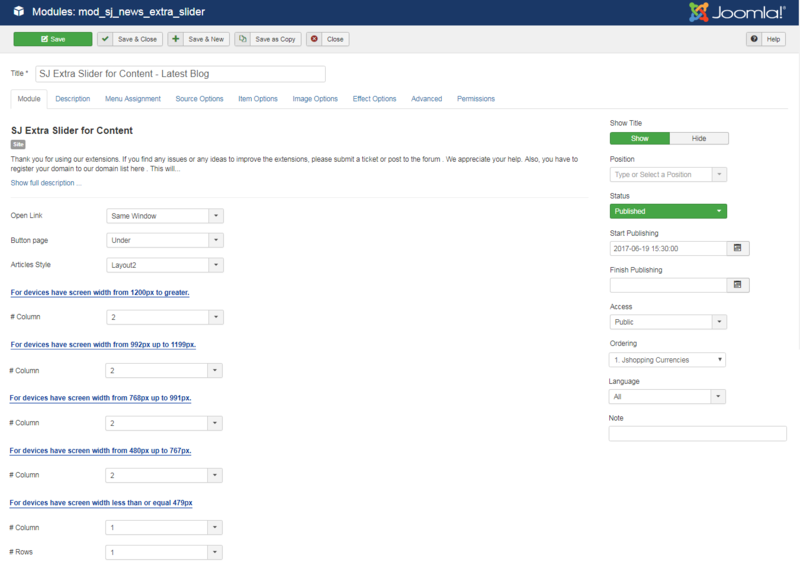 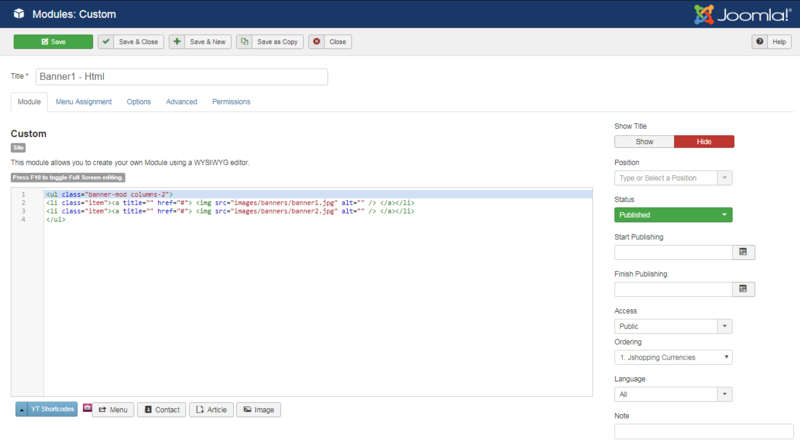 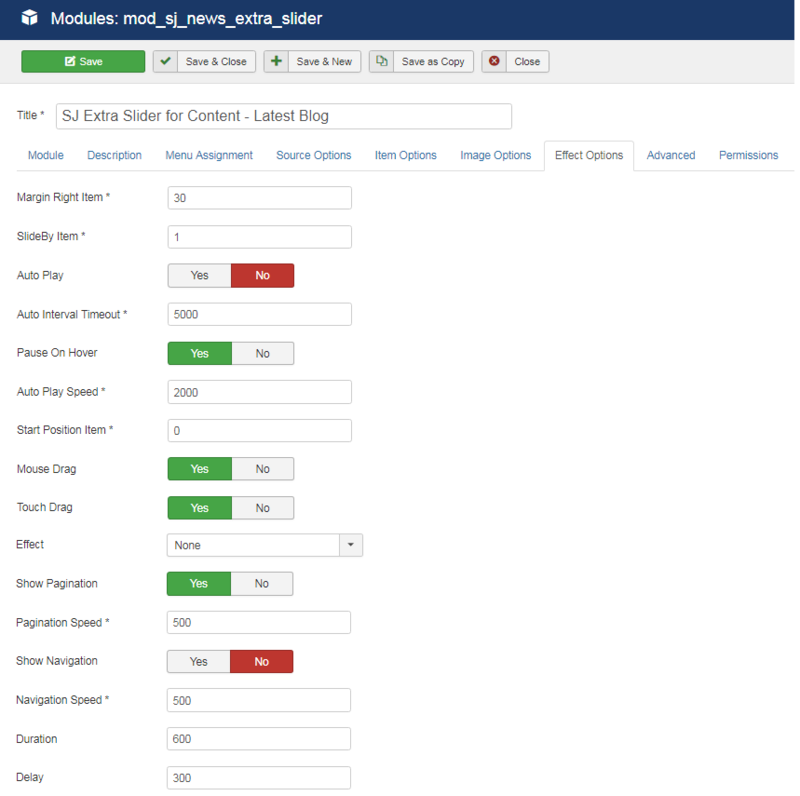 Note: To create new Joomla module, example SJ Extra Slider for Content, please go to Extensions => Module Manager => Click New button to create a new module => Select SJ Extra Slider for Content module. 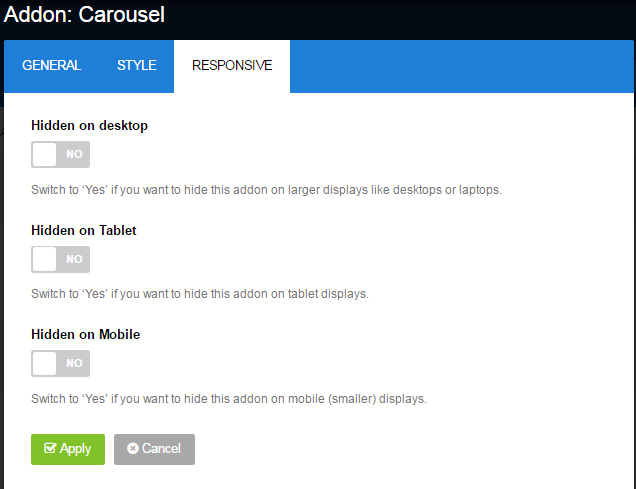 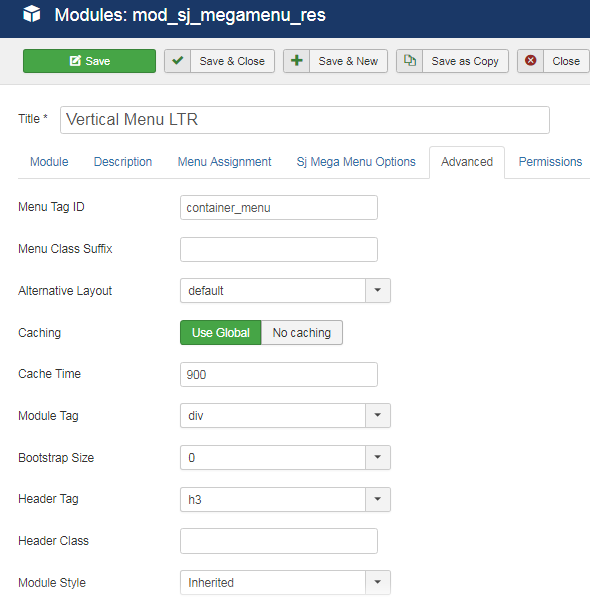 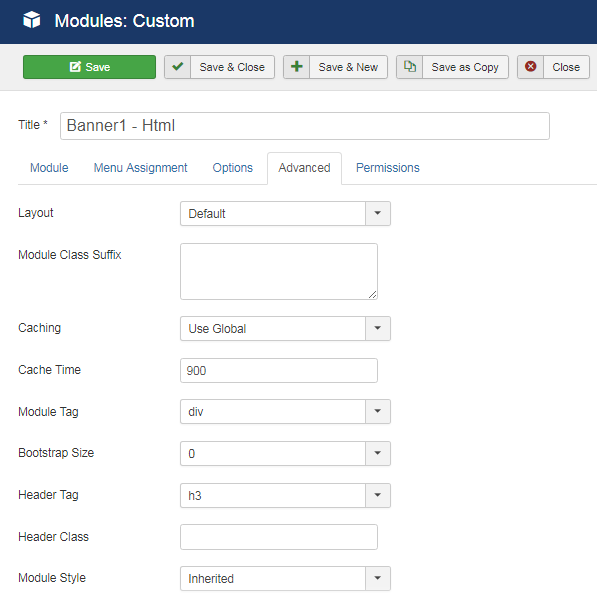 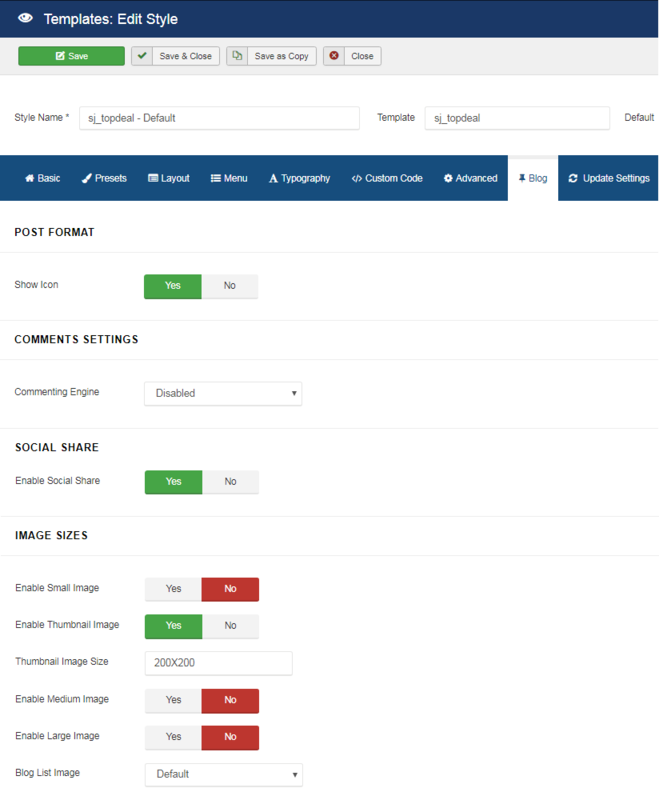 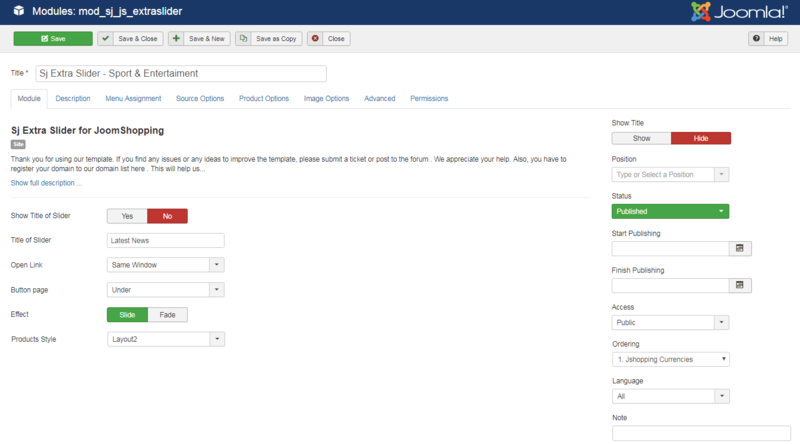 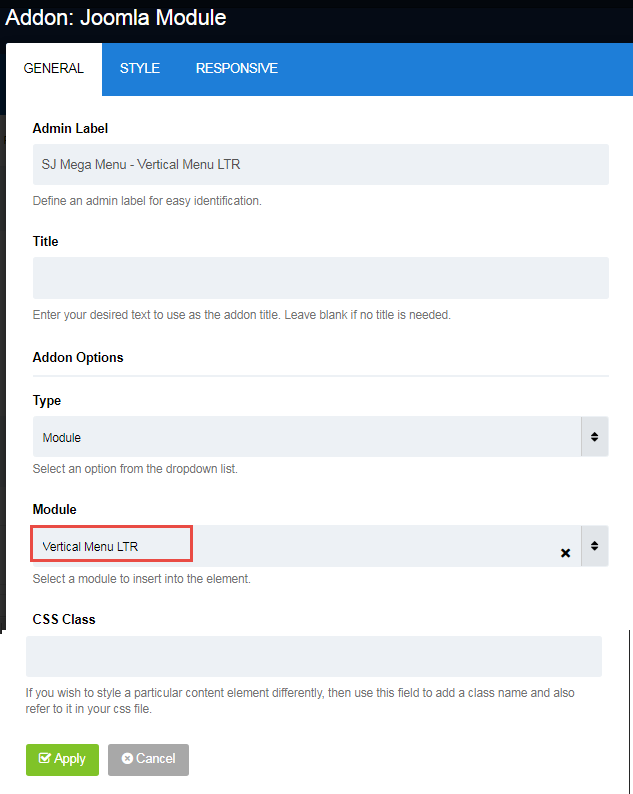 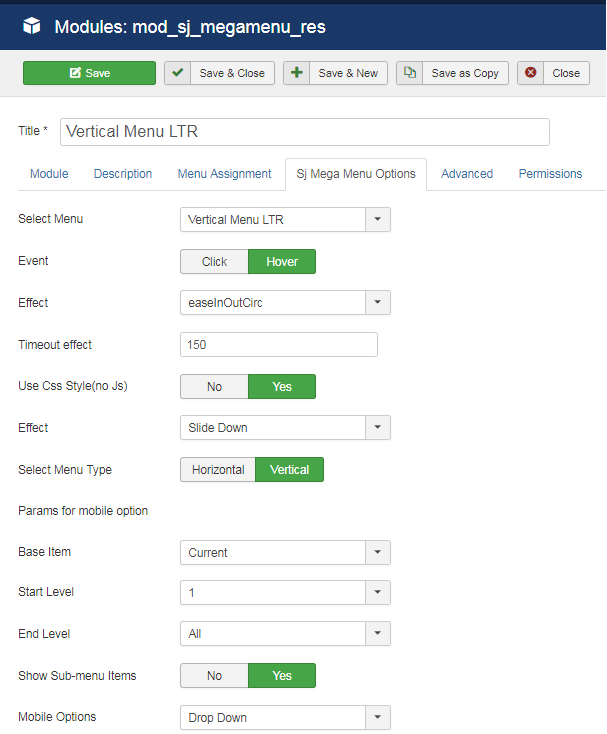 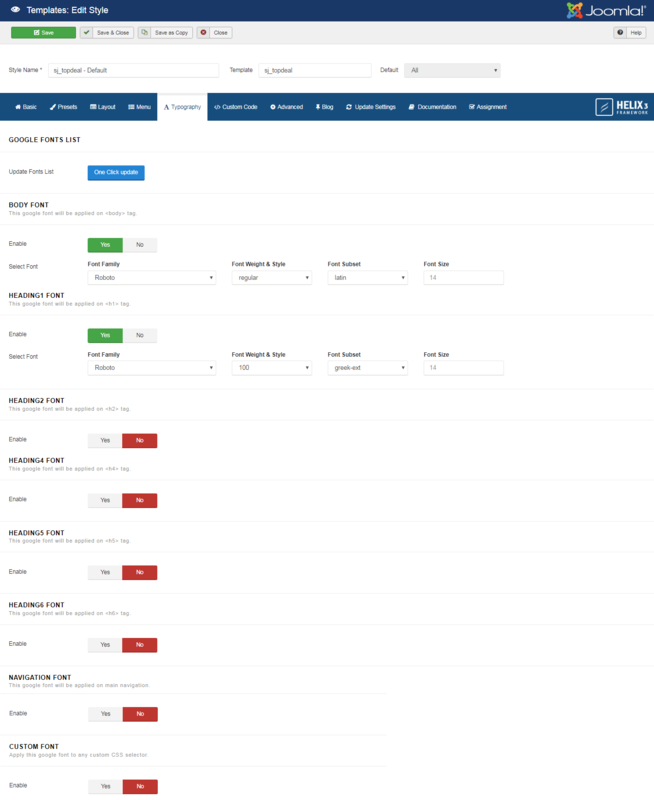 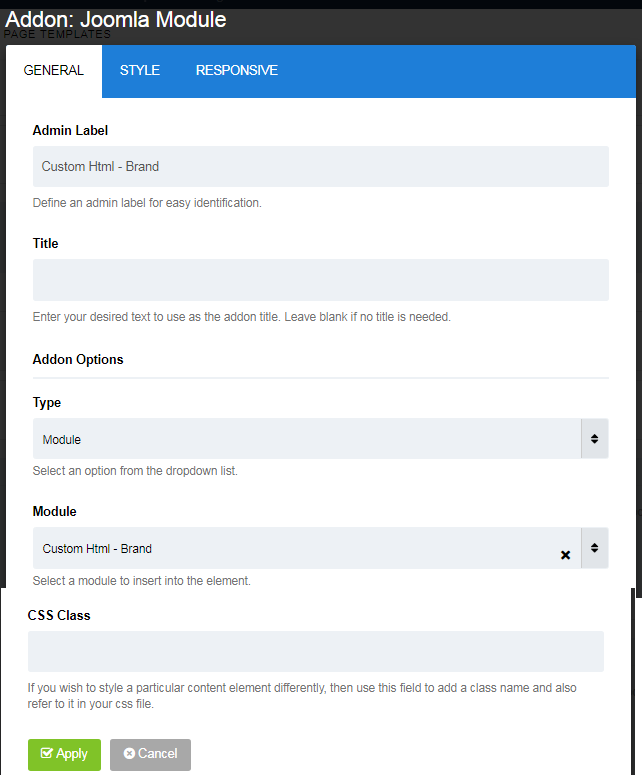 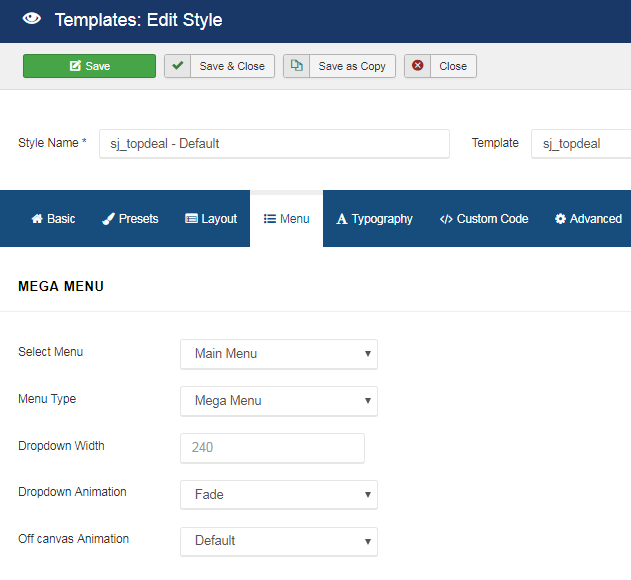 Note: To create new Joomla module - Vertical Menu LTR, please go to Extensions => Module Manager => Click New button to create a new module => Select Vertical Menu LTR module. 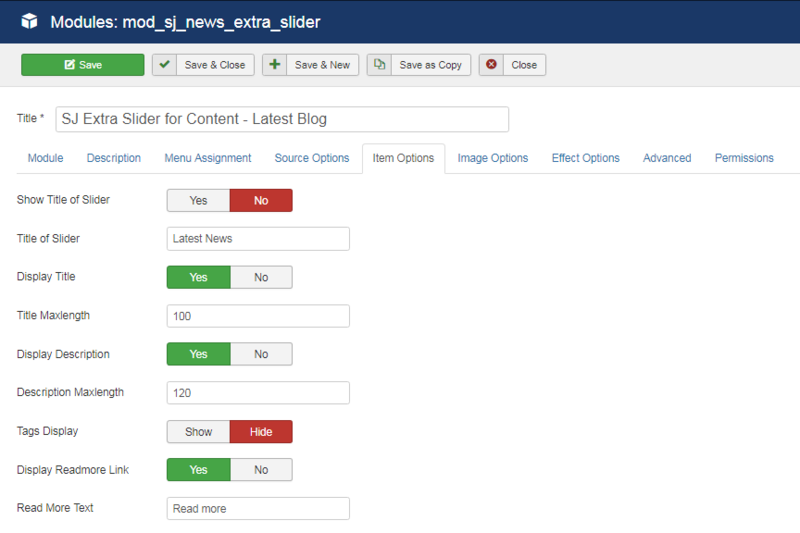 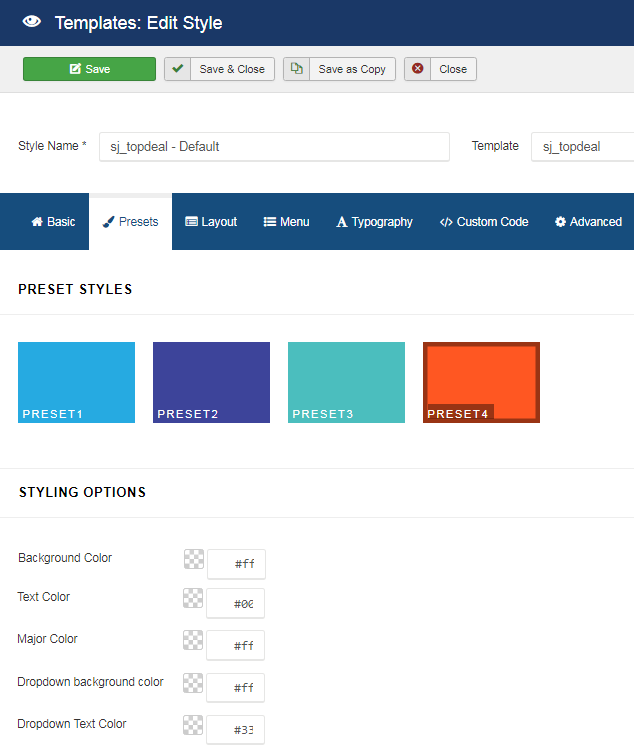 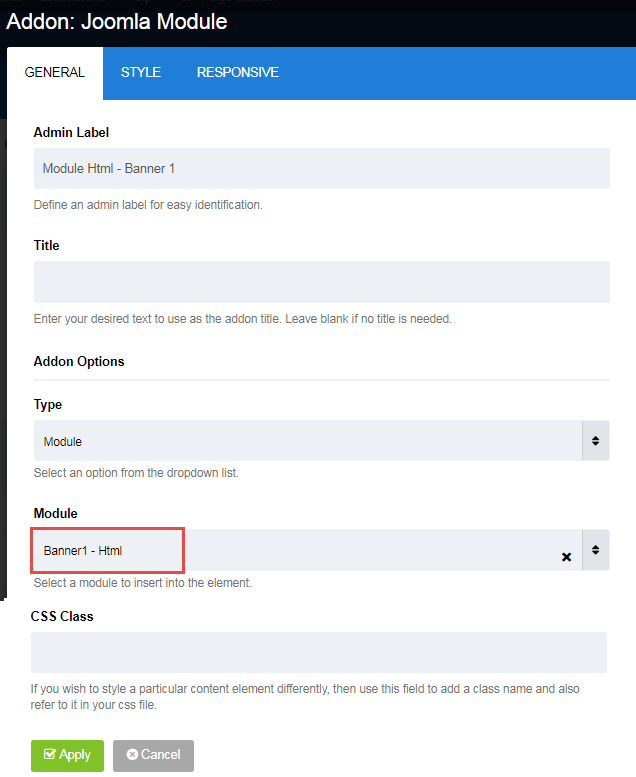 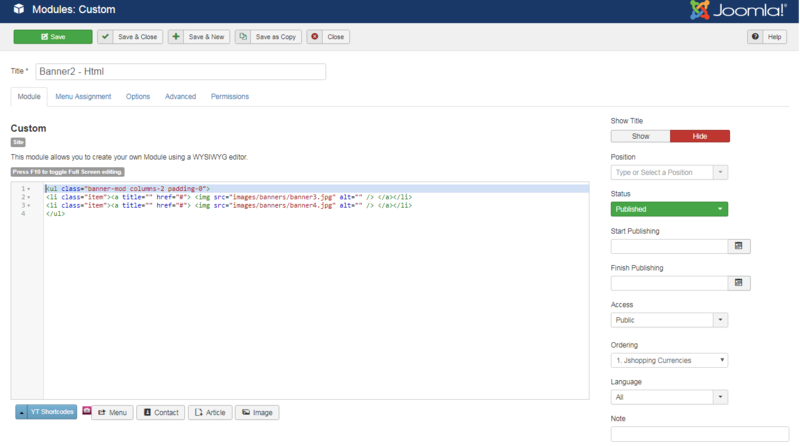 Note: To create new Joomla module - HTML, please go to Extensions => Module Manager => Click New button to create a new module => Select HTML module. 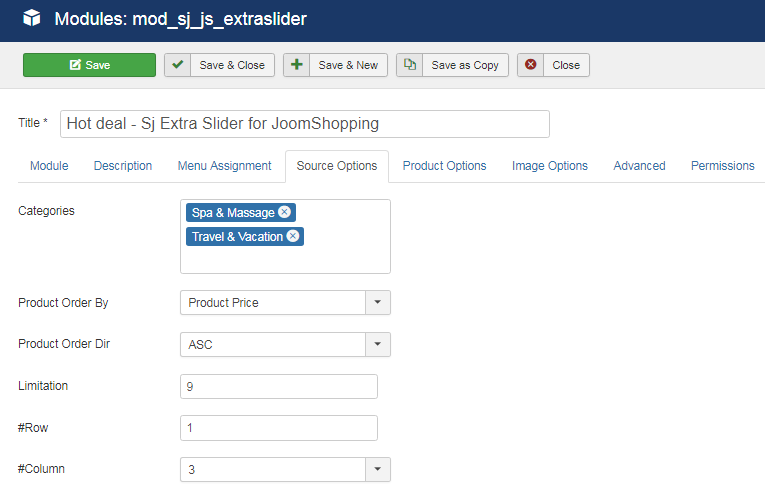 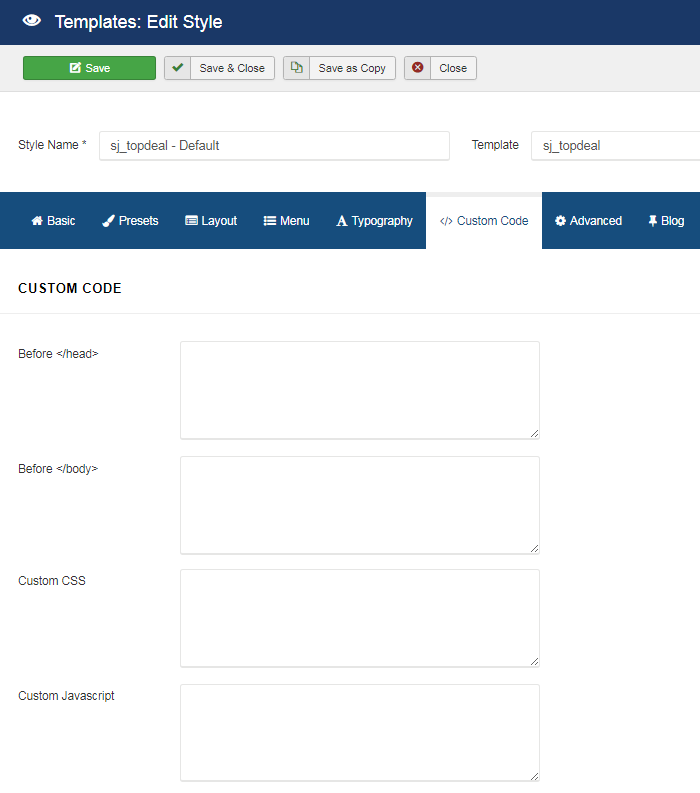 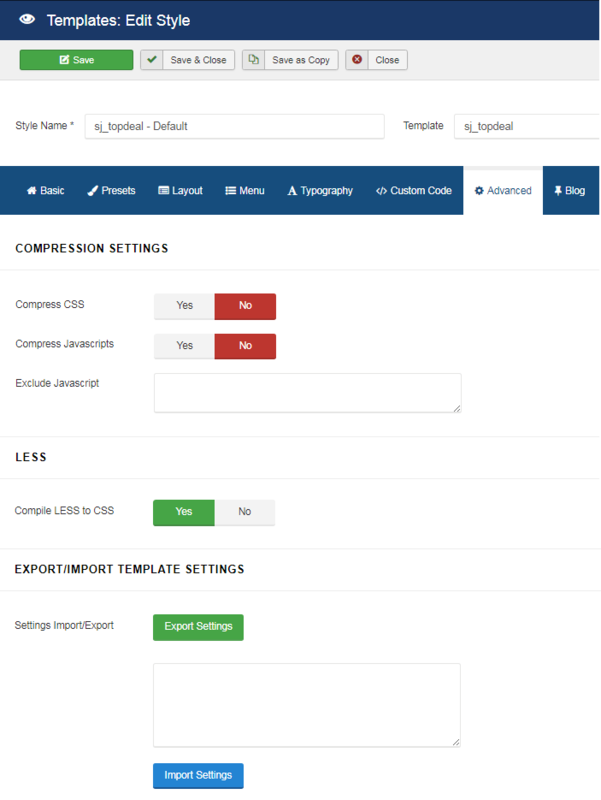 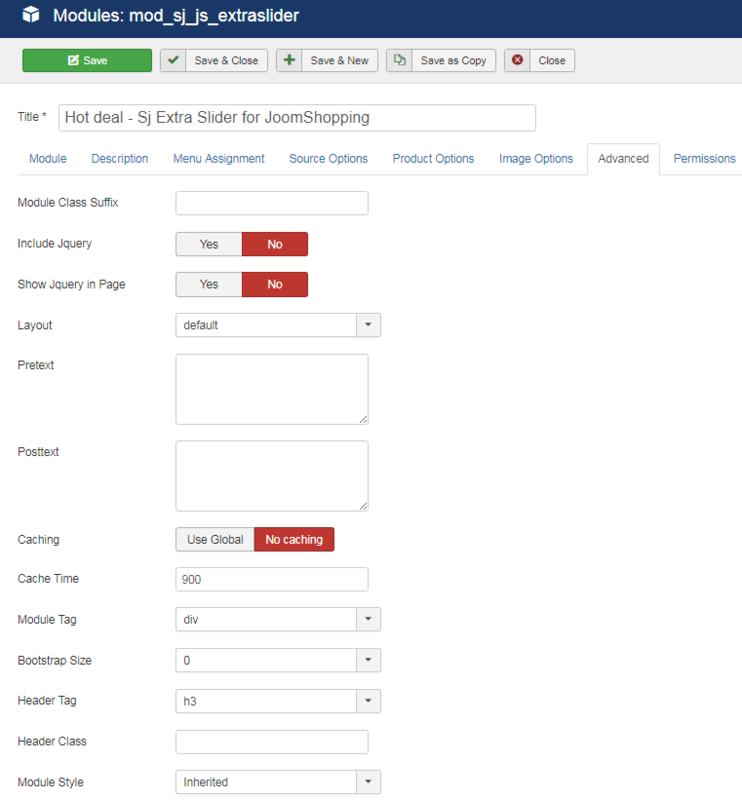 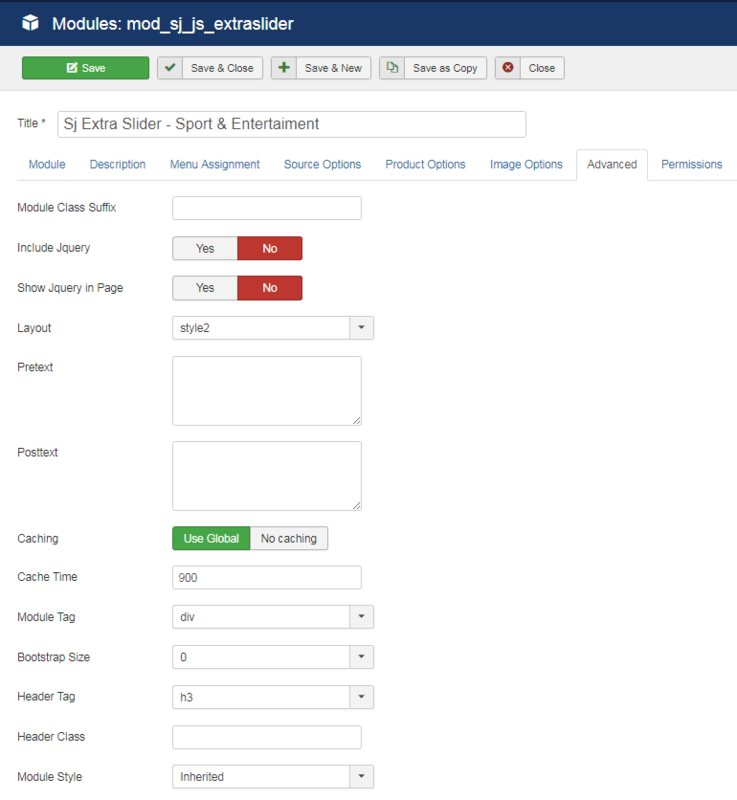 Note: To create new Joomla module - Sj Extra Slider for JoomShopping, please go to Extensions => Module Manager => Click New button to create a new module => Select Sj Extra Slider for JoomShopping module. 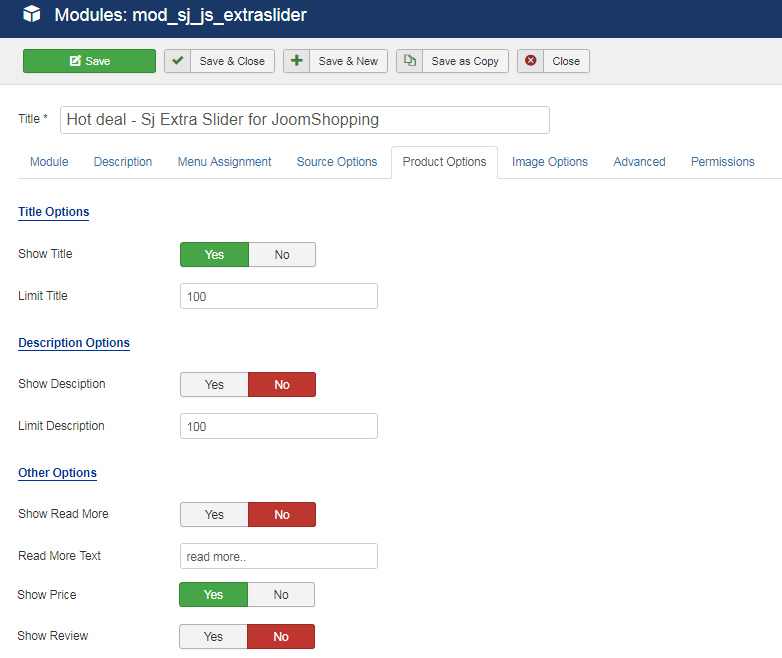 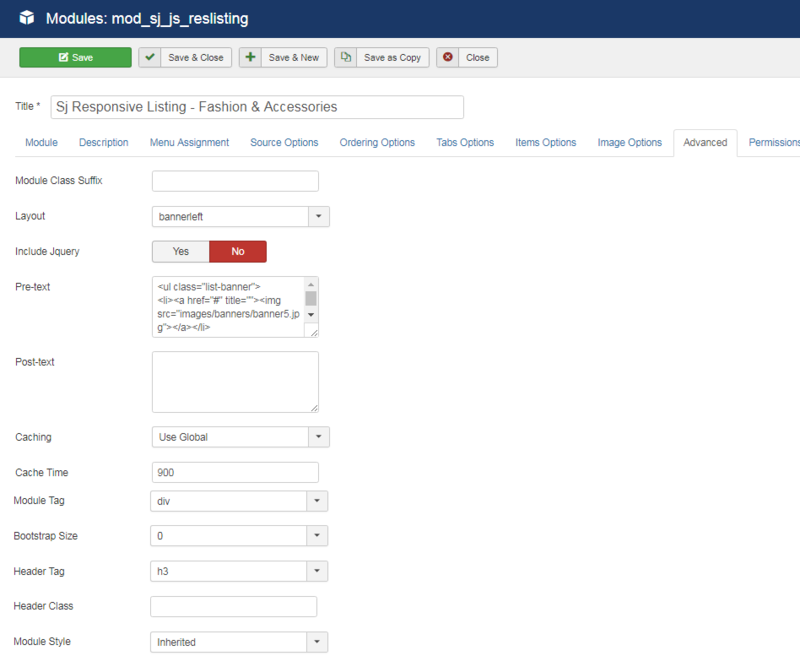 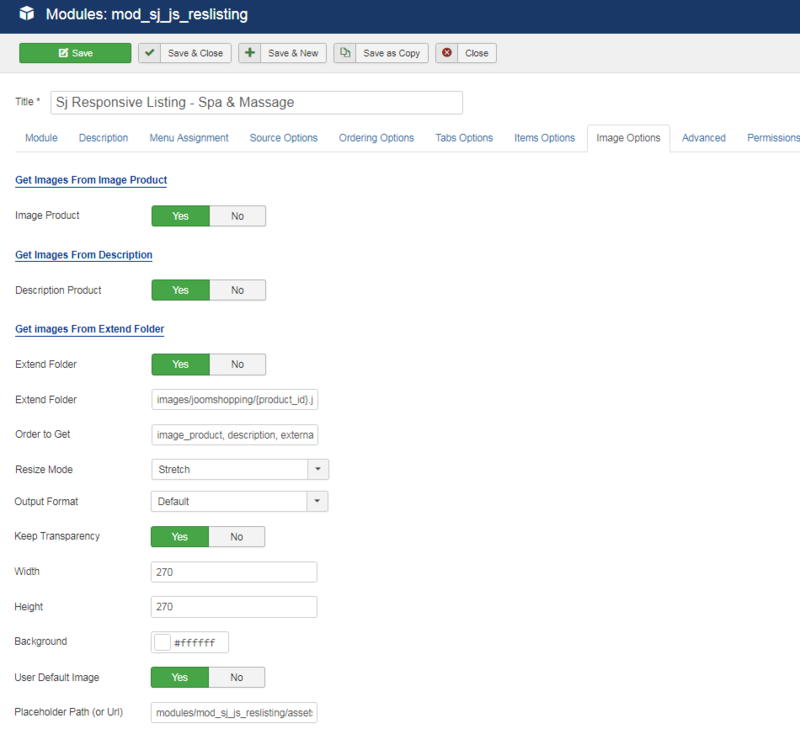 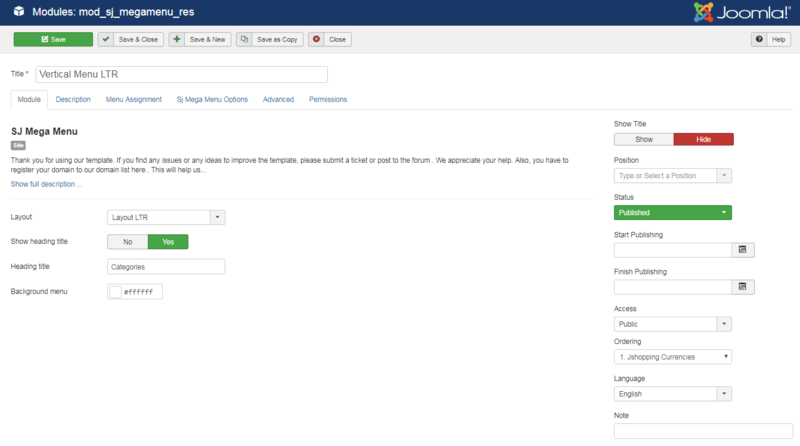 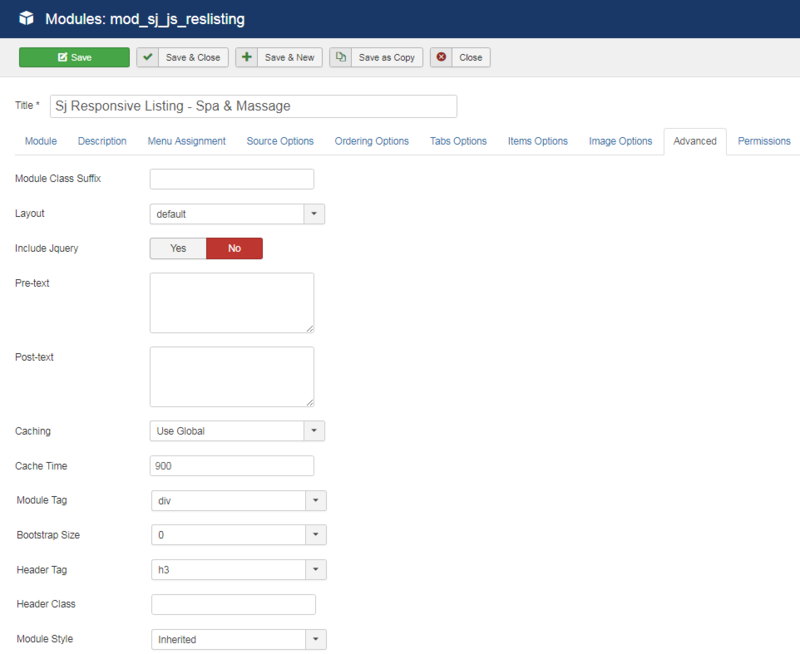 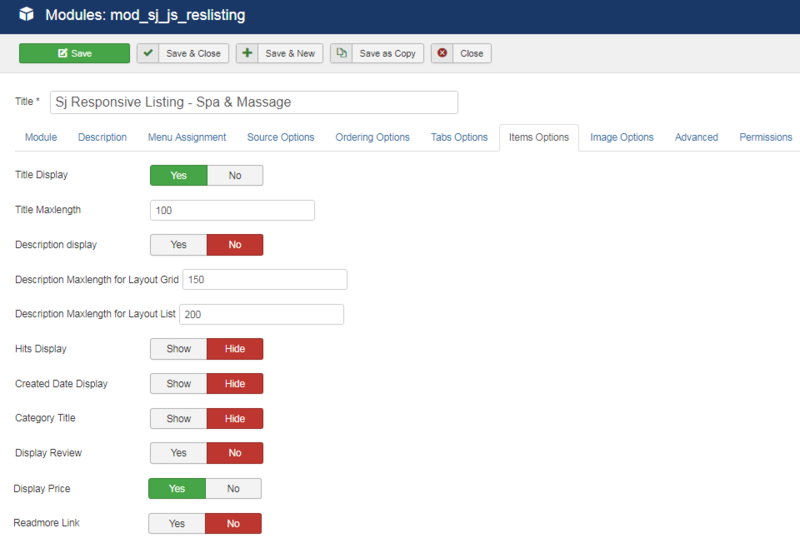 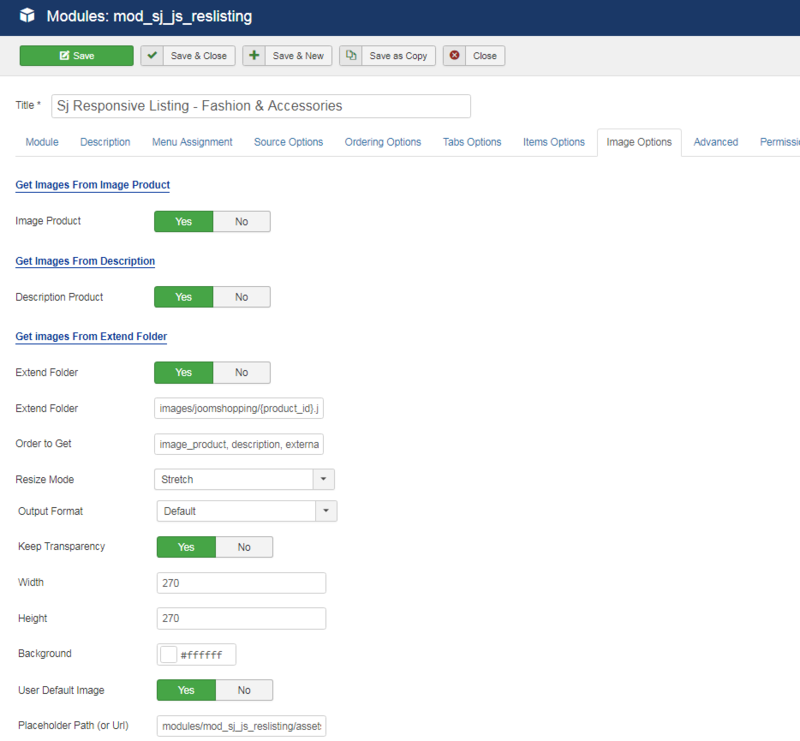 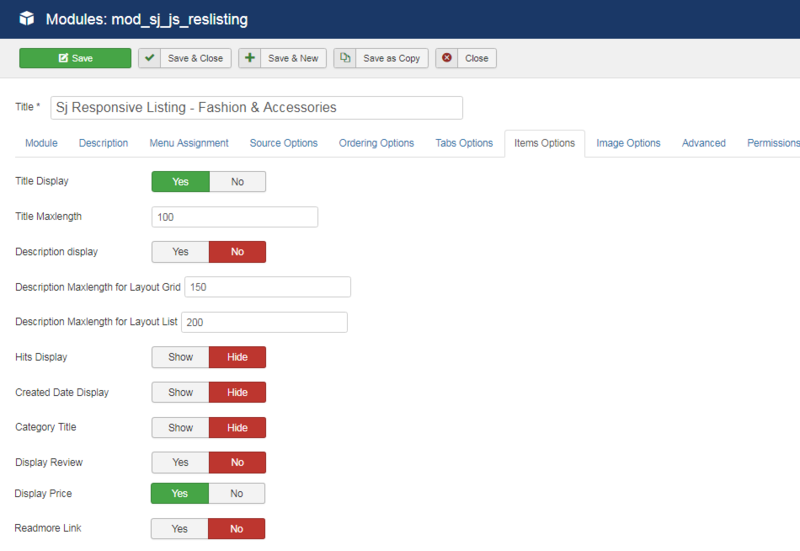 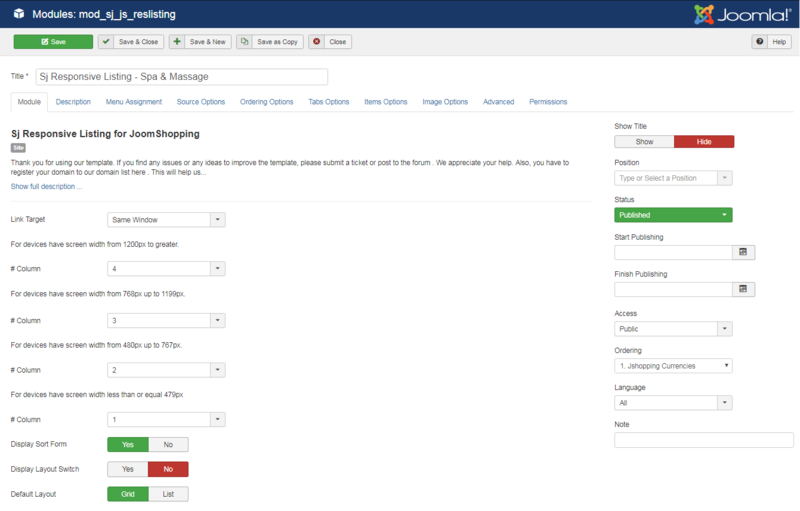 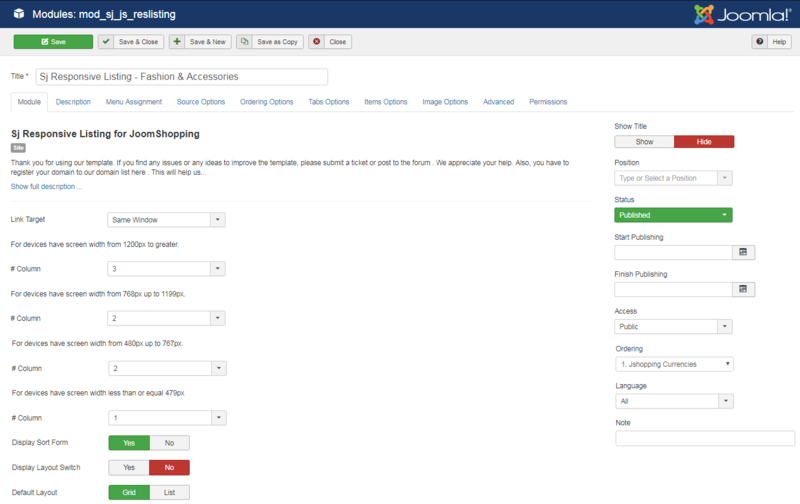 Note: To create new Joomla module - Sj reponsive Listing, please go to Extensions => Module Manager => Click New button to create a new module => Select Sj reponsive Listing module. 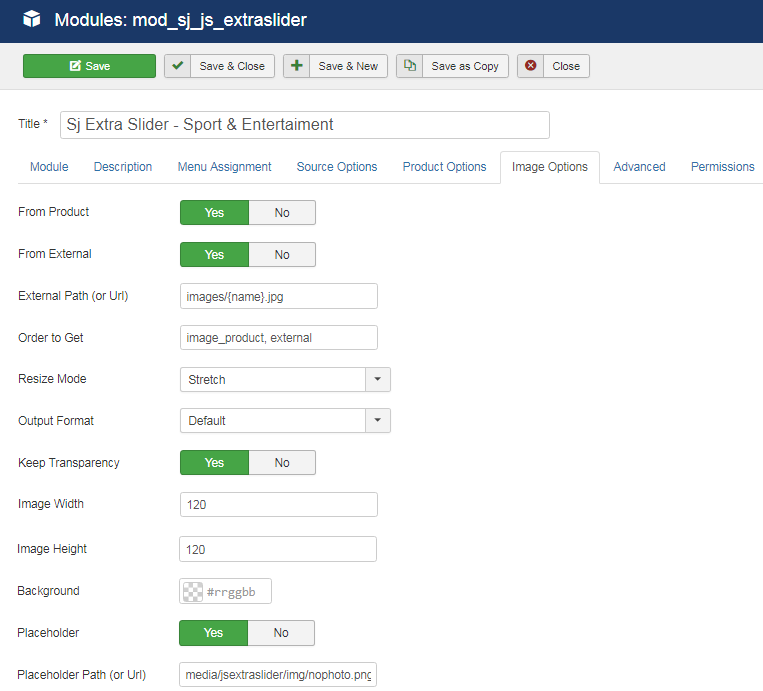 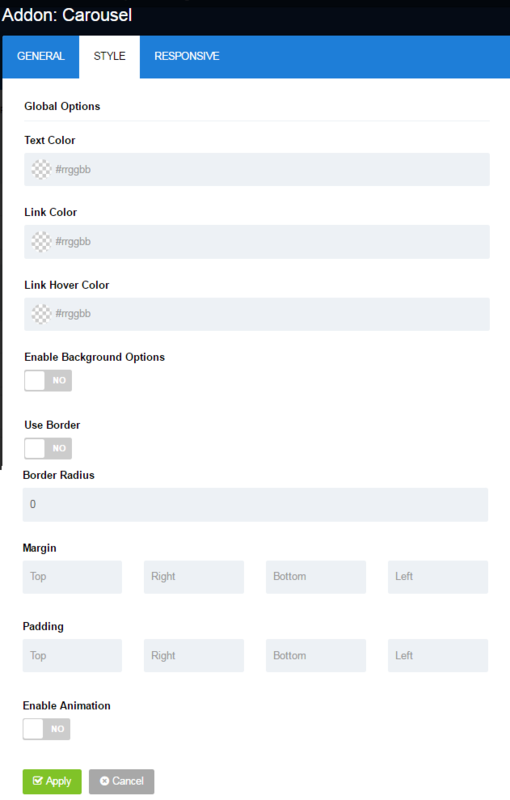 Note: To create new Joomla module - Sj Extra Slider, please go to Extensions => Module Manager => Click New button to create a new module => Select Sj Extra Slider module. 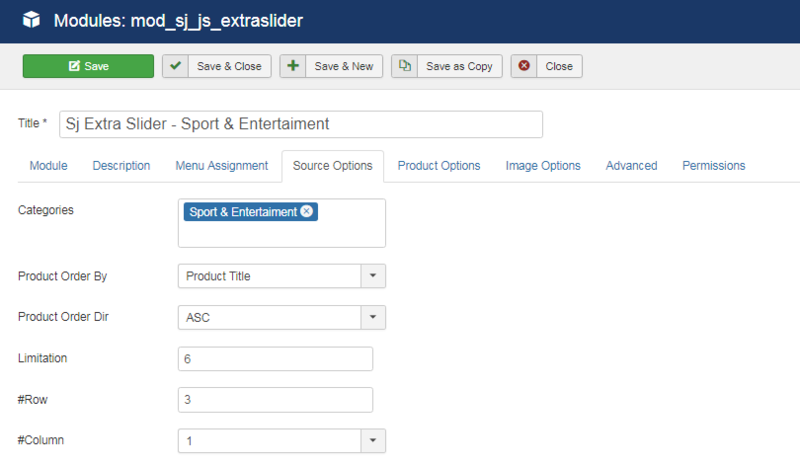 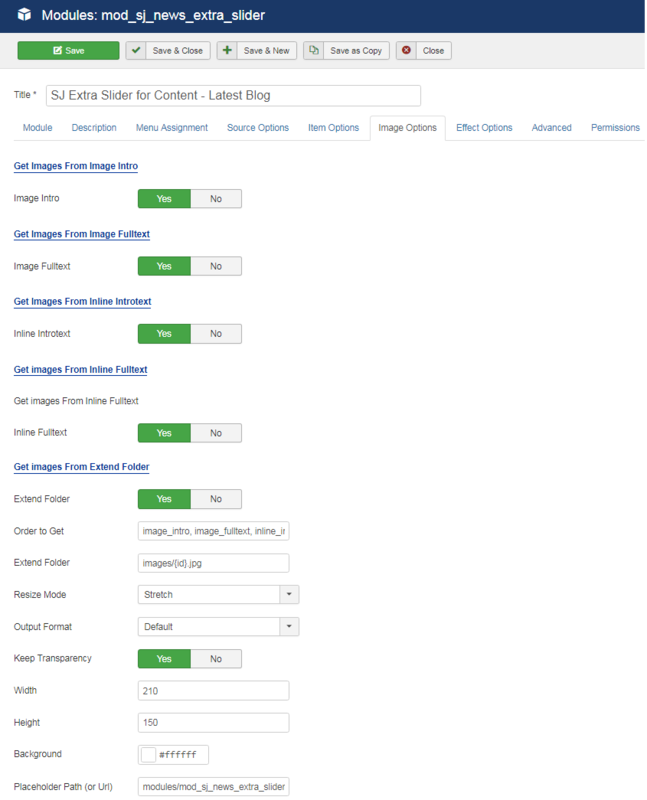 Note: To create new Joomla module - SJ Extra Slider for Content, please go to Extensions => Module Manager => Click New button to create a new module => Select SJ Extra Slider for Content module.